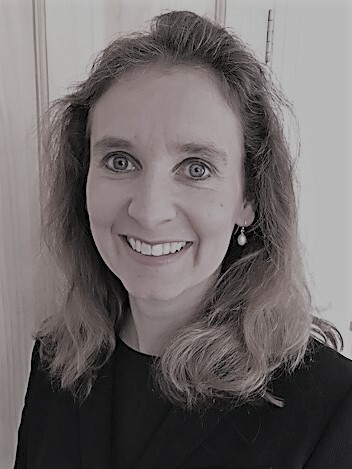 Nicola Talbot Hadley has returned to the independent Bar following 2 years working as inhouse Counsel for the Environment Agency and 3 years working as advisory lawyer for the Government Legal Department attached to the Department for Work and Pensions. Prior to that she undertook pupillage at a leading criminal set of chambers in London and the South East and Western Circuits, and spent 5 years as a criminal practitioner, working for both Prosecution and Defence in all criminal courts. Nicola has experience in all areas of crime, including as a led junior in cases involving the historic and serious sexual offences, conspiracies to supply drugs and complex fraud. She practises on both the Western and South Eastern Circuits and is a Grade 2 Prosecutor. Before coming to the Bar, Nicola worked as a teacher and in political consultancy. Her experience as a teacher has given her particular empathy with young people which she is able to put to good use in the youth court as well as questioning young and vulnerable witnesses. She sits as a community volunteer on referral order panels for young people who have committed a first offence and have been referred to the youth offending service. Nicola is keen to use her skills and knowledge from working for the Environment Agency and one of the largest of Government departments. She has experience of regulatory cases in environmental protection, health and safety and trading standards. She is willing to assist claimants in social security appeals at the First Tier and Upper Tribunals, and as Trustee of Disability Law Service, helps with policy change and legal assistance for disabled people. Nicola sits as a legally qualified chair for police misconduct hearings for 5 police authorities in the south east and accepts instructions for either party in hearings for other police authorities. She is keen to expand her practice into other regulated professions. Nicola has also recently started a family practice and is looking to develop her experience in this area. Nicola has defended and prosecuted in serious cases both as junior alone and led junior. She is able to establish a rapport with and gain the confidence of the most difficult and vulnerable of clients and has particular experience of the youth court and defendants with anxiety and mental health difficulties. She is valued by those who instruct her for her empathy, client handling, diligent preparation and dogged perseverance to ensure the best outcome. She is able to deal with extremely sensitive cases with compassion and care. Case experience includes sexual offences and indecent images, violent assaults, drug supply, dishonesty and fraud, road traffic law, extradition law, proceeds of crime/civil forfeiture, local authority regulatory work, mental health disposals and cases under Dangerous Dogs and Animal Welfare legislation. She has been instructed as led Junior in cases of particular complexity involving historic sexual abuse and multi-handed frauds running to millions of pounds. Her experience of working for the Department of Work and Pensions makes her particularly adept in both the prosecution and defence of benefit fraud. Nicola is also a Vulnerable Witness Advocacy Facilitator (training established practitioners in the new form of questioning vulnerable witnesses). Case experience includes sexual offences (serious sexual assaults, grooming/incitement through social media and indecent images) and sexual harm prevention orders, violence, drug supply, dishonesty and fraud, road traffic law, extradition law, proceeds of crime/civil forfeiture, local authority regulatory work, mental health disposals and cases under Dangerous Dogs and Animal Welfare legislation. She has been instructed as led Junior in cases of particular complexity involving historic sexual abuse of children and multi-handed frauds running to millions of pounds. Nicola is also a Vulnerable Witness Advocacy Facilitator (training established practitioners in the new form of questioning vulnerable witnesses), which has been of real value in cases involving sexual abuse of children and vulnerable witnesses. Nicola has recently started a family practice and has been praised for her diligence and sensitivity in handling both clients and opponents. She is passionate and enthusiastic in her approach and is particularly interested in cases involving children. She has advised and appeared in applications and hearings under section 8 of the Children Act 1989 (prohibited steps and specific issue orders) private children work and public care proceedings. She is pragmatic in managing proceedings and reaching settlements under the Child Arrangements Programme in relation to contact (supervised, unsupervised and supported) and where the child(ren) should live. Nicola has undertaken a number of pro-bono cases for the Bar Pro Bono Unit, including applications from parents for child arrangements orders. She has recently advised on the prospects of an appeal against a refusal to discharge care orders and orders made under section 34(4) Children Act 1989 permitting the court to authorise the local authority to refuse to allow contact between the child and parent and section 91(14) Children Act 1989 prohibiting a party from making any further applications without leave of the court. The case concerned a Muslim father contesting a care order and placement of his children with a non-Muslim foster family and engaged the principles established in the case of P (A Minor) (Residence Order: Child's Welfare), Re  Fam 15 (also known as P (Section 91(14) Guidelines: Residence and Religious Heritage), Re  2 F.L.R. 573). Nicola enjoys using her skills gained in criminal advocacy in the family court and is able to deal with the cross over between criminal and family cases, particularly where the parties may be dealing with simultaneous proceedings and/or criminal allegations such as domestic violence are brought to bear in family proceedings. Her training in questioning vulnerable witnesses is a useful asset in dealing with vulnerable parties in the family courts who may need sensitive handling and special measures.